Novice traders sometimes find the variety of order types available with CFD trading confusing – and this confusion can lead to the trader buying a CFD when he or she actually means to sell it or going short when he or she wanted to go long. What follows is a concise summary of the different order types and when to use them. This is the most common type of order which beginner traders are most likely to encounter first during their trading career. A market order is simply an order to purchase or sell a CFD at the best possible price currently available in the market. Using a market order to an extent means the trader is giving his broker carte blanche. ‘Buy or sell x number of Company ABC CFDs at whatever price the market currently gives’. The bad part here is that the order might be filled at a much worse price than the trader intended. For a better alternative, see limit orders below. Some CFD market markers will allow a trader to place market orders outside normal trading hours, e.g. during weekends. This can be dangerous, because the price might ‘gap’ during such after hours periods. These orders will only be filled when the market opens again – which could be at a significantly higher or lower price. Other brokers will only allow market orders during actual trading hours. With a limit order the trader is actually giving the broker a specific price at which he or she is willing to buy or sell a certain number of CFDs. A trader who wishes to buy a CFD, but only if and when it trades at a price which is lower than the current price, would set up a limit order to buy x number of CFDs at the lower price. A trader who wishes to sell (go short on) CFDs, but only if the price of the underlying goes up to a certain level, will set up a limit order to sell at the (higher) price. The danger here is of course that the price might never reach that level and that the order might therefore never be filled. This is particularly dangerous in multi-legged trades where traders for example combine CFDs with options. One leg of the trade might be filled and the other one not, forcing the trader to cancel the first leg again, usually at a loss. Limit orders an also be used to exit a trade. A trader who is currently in a long CFD position can use a limit order to sell these CFDs when the price reaches a specific (higher) limit. In this case the order acts as a ‘take profit’ order. A stop order can be set above the current price to exit the trade if a certain level of profit has been achieved. It can also be set below the price to get out of a trade that is going against the trader. Some brokerage platforms also allow conditional CFD orders, or so-called ‘if done’ orders (some brokers call it by a variety of other names). This type of order allows the trader to set up an order that will only be filled under certain conditions. 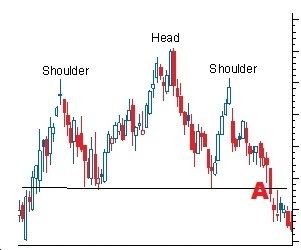 An example is when a trader sets up a limit order to buy CFDs at or below a certain price. The trader will then be able to set up a stop order at the same time – but this will only come into effect if the first order was fulfilled. This is a very useful feature that allows the trader to plan and set up both his entry and exit levels for a trader before the time.